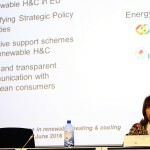 On 15th June the FROnT team organised a conference on how Europe can seize the opportunity to become a world leader in renewable heating and cooling. 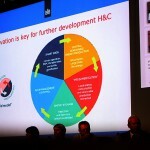 The answer lies in favourable and consistent regulation, and fair market conditions, suggested the consortium. 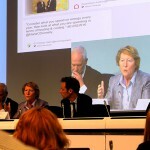 Follow the links below to read the contributions from the speakers at the conference. 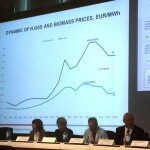 Energy demand for heating and cooling constitutes half of Europe’s energy needs. 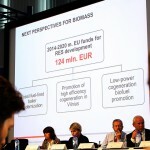 In the residential and commercial sectors, a sufficient number of technology alternatives are available to achieve a renewable-based system for heating, cooling and hot water production by 2030. 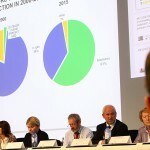 The EU will not achieve its climate and energy objectives unless renewable heating and cooling becomes more widely used. Making renewable Heating and cooling a priority means efficiently promoting European leadership in renewables, strengthening EU’s energy security, supporting innovative SME’s and improving the health of millions of citizens through better air quality. All this can be achieved without delay. The technologies are mature and readily available but require adequate targets, market conditions, and accompanying policy measures. 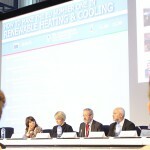 After the publication of the EU Heating and Cooling Strategy and before the publication of the European Commission’s revised directives on energy efficiency (EED), energy performance of buildings (EPBD), and renewable energy (RES-D), this conference will discuss inspiring strategies and practices shaping the right policy framework across the EU in the ‘year of delivery’. 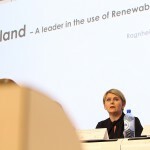 The event is being organised by a group of Renewable energy trade associations, national authorities, and energy agencies, all of whom are members of the FROnT consortium. 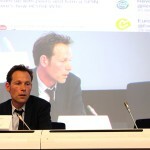 It is organised in collaboration with the Dutch presidency of the EU and European Sustainable Energy Week (EUSEW). The purpose of the event is to enhance dialogue between all stakeholders in the heating and cooling sector, and to take positive steps towards policies which will enable the efficient and effective transition to a sustainable energy system. The sole responsibility for the content of this [webpage, publication etc.] lies with the authors. It does not necessarily reflect the opinion of the European Union. Neither the EACI nor the European Commission are responsible for any use that may be made of the information contained therein.